Analysis on working at home for the healthcare industry, covering qualifications and salaries. If you have been trained in health care and are planning to work from home, you might consider medical billing and coding. It is one of top choice for work-at-home moms from the health care field. According to the US Bureau of Labor Statistics, there has been a tremendous growth in the medical billing and coding sector, and it will continue to be among the fastest growing opportunities in health-related work-at-home jobs. Since it is also the sector susceptible to frauds, malpractices and medical necessity issues, insurance companies and the government are investing more time and money in researching to stop such activities. What this means is that there is a steady hiring by the professionals like doctors, pharmacies and insurance companies. 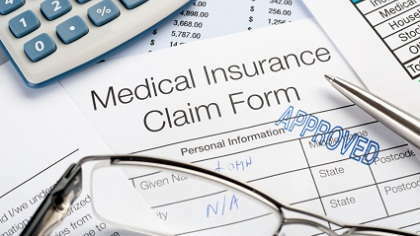 With the help of a standard coding system used by various health care professionals, insurance companies and federal agencies, a coder assigns certain alphanumeric codes to specific diseases, injuries and other medical procedures. These assigned codes most often are used by various international organizations to track the pattern of specific diseases and the health care costs. While hospitals and doctors use these codes for internal data records, insurance companies need the codes to reimburse health care providers. Patience and determination are two important skills needed to be a successful medical billing and coding professional. In addition, you should have a problem solving ability and should be authoritative - you can't take no for an answer. Apart from this, you have to be extremely careful while translating medical language to coding, as any error in the coding would mean inconvenience to medical staff and delayed payments to health care providers. You have to have the acumen to judge which part of the medical report is important for coding. Your earning potential as a medical billing and coding professional can depend on few factors like your geographical location and your experience. It will also be dependent on your education and formal training from a reputed college. However, on an average, an entry level medical billing and coding professional can earn $25,000 and up to $50,000. Going by this standard, a medical billing and coding professional working from home can demand $10-$12 on hourly basis. Apart from this, you can contact the health insurance companies, physicians, or hospitals in your locality for job opportunities. Armed with the above provided information, you can choose your occupational title and your fees, and then start your career as a work-at-home mom in the healthcare sector.